These six credit cards charge high interest rates and fees to people with poor credit. You might be better advised to get a secured credit card, which is usually cheaper, or a prepaid card if you need plastic and building your credit history is not that important to you. When I first saw the terms on this credit card, I thought I was seeing things. 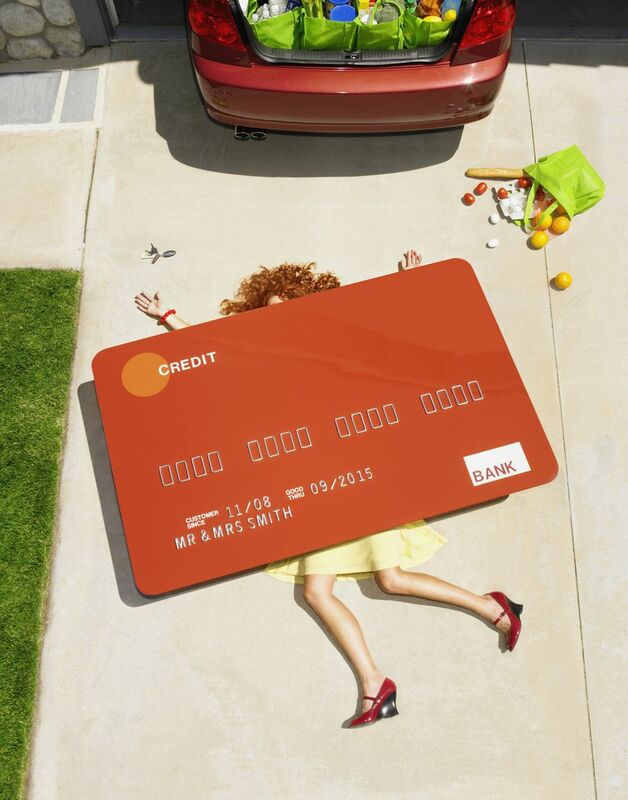 But it’s all true: A 59.9 percent APR and a $75 processing set-up fee. Beginning in the second year, there's a $75 annual fee, which First Premier charges you at the rate of $6.25 a month. And for ​this, you get a paltry $300 credit limit. But it gets even worse. Each time your account is approved for a credit limit increase, you will be charged a fee equal to 25% of the credit limit increase, which gets added to your balance. The maximum credit limit increase is $100, and you won’t be eligible to get one for at least 13 months after you open your account. This card is issued by First Premier Bank and is identical to the First Premier Bank Gold MasterCard and the Aventium Gold MasterCard. It has the same 59.9% APR, $75 processing set-up fee and $75 annual fee starting in the second year. It also has the same tiny credit limits. Under any name, it’s a bad deal. This card is issued by First Premier Bank and is identical to the First Premier Bank Gold MasterCard and the Centennial Gold MasterCard. It has the same 59.9% APR, $75 processing set-up fee and $75 annual fee starting in the second year. It also has the same tiny credit limits. It’s a terrible deal no matter what you call it. The Applied Bank Secured Visa Card was rated our worst secured card. This unsecured gold version is even more expensive, but you get very little in return. The maximum credit limit is just $500. For that, you have to pay a $125 annual fee, which is immediately charged to your account. That reduces your credit limit to $375, and also means you start incurring finance charges at 30% weeks before you get the first bill. There’s also no grace period on purchases, so there’s never any month you won’t escape finance charges, even when you pay your bill on time. After the first year, the annual fee is replaced by a monthly maintenance fee of $15, or $180 annually. In addition, Applied Bank charges a $100 credit limit increase fee. The bank doesn’t call it that, but for all practical purposes, this is a secured card. To get the card, you have to open a deposit account with the bank of at least $300 (maximum $5,000); your credit limit is the amount of the deposit plus $300. In other words, only $300 of your credit limit is unsecured. Although your deposit is FDIC insured, the bank doesn't pay you interest on it. Otherwise, this card has pretty much the same terms as the Applied Bank Gold Visa Card except the APR is a little lower at 23.99%, versus 29.99%. This card isn't nearly as expensive as the other five cards on this list, but it's still pretty pricey. Depending on the credit limit you get – which will range from $300 to as much as $1,500 – your annual fee will vary from $75 to $99, billable in monthly installments starting in the second year. Interest rates range from 23.9% to 26.9%, depending on your credit history. Like Applied Bank, Credit One charges you if it grants you a credit line increase, although it charges "only" $49 versus $100. In addition, this card charges an 8% fee for cash advances after the first year, which is about twice what most other cards charge. You should NEVER use your credit card to get a cash advance, especially at that price.